Ogni anno ghepardi selvatici vengono catturati in natura e ne muore l’80%….grazie a BorntoBeWild. Un interessante articolo su BBC Science a proposito di …ghepardi! Baby cheetahs are so prized as exotic pets that entire litters are seized from their mothers when they may only be four to six weeks old. 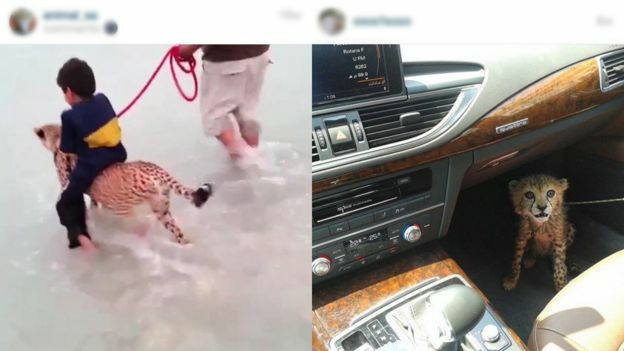 Each tiny animal can fetch as much as $10,000 on the black market and end up being paraded on social media by wealthy buyers in Gulf states. But the trade exacts a terrible toll on a species that claims a superlative status as the fastest land animal on the planet but which now faces a serious threat to its survival. According to the Cheetah Conservation Fund, some 1,200 cheetah cubs are known to have been trafficked out of Africa over the past 10 years but a shocking 85% of them died during the journey. Dr Laurie Marker, the trust’s director, describes the horrific conditions involved in shipping the animals from their habitats in northern Kenya, Somaliland and Ethiopia by land and sea to the Arabian Gulf. And those that do make it into the hands of new owners usually die rapidly because they are denied the chance to exercise and are given an inadequate diet. Dr Marker says that they’re often kept in “chicken coop-sized pens” which are far too small for them. With the total of adult cheetahs living in the wild now numbering less than 7,000, the concern is that seizures of an estimated 200-300 a year could drive some of the remaining populations, which are already diminished, to extinction. 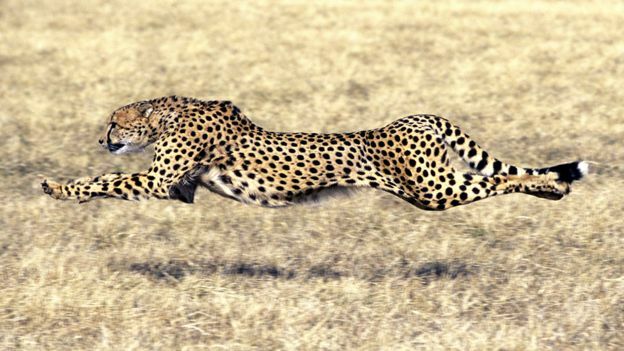 The poaching comes on top of the long-running destruction of the cheetahs’ habitats. The animals tend not to thrive in the confines of national parks where other predators dominate, so they live outside protected areas and are more exposed to conflict with people. The threat to the cheetah will be raised at the CITES COP17 conference being held in Johannesburg over the next fortnight. One criticism of the conservation movement is that it has recently been doing a better job highlighting the plight of the giants of African wildlife, the elephants and the rhinos, compared with other iconic species whose existence is equally at risk. 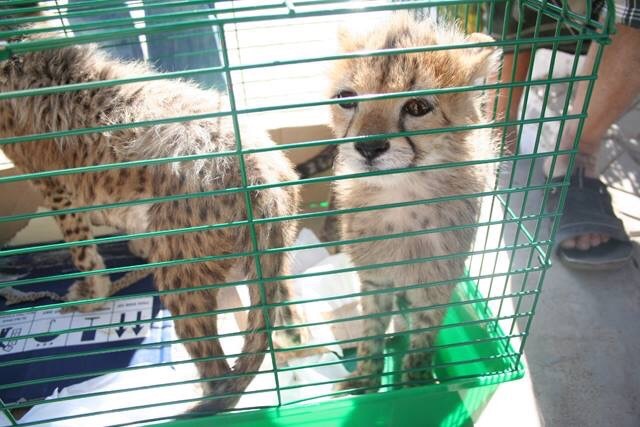 As a vet working in Kuwait, Jill Mullen saw for herself how easily cheetah cubs were imported despite the existence of controls under the CITES convention. Now back in the UK, she told me how her surgery would see as many as six cubs in a single day. All of them would be suffering from dehydration, malnutrition and a common virus known as panleukopenia against which the cubs have no immunity. Usually, only one of the six would survive. “I would stand on the soapbox to explain to the owners why it was wrong to have these animals as pets, that they’re endangered in the wild, and are not designed to be kept in living rooms and in villas. Ms Mullen found that most owners did not know about the CITES restrictions or care about them. During her time in Kuwait, there was an attempt by the authorities to clamp down, and vets like her were banned from handling cheetahs and other endangered animals. But she believes this drove the trade underground. On the agenda in Johannesburg is a quest to raise awareness in buyer countries of the dangers the trade poses to the cheetah. One idea is to persuade internet platforms to join the fight – many carry social media pictures taken by cheetah owners showing off their animals. 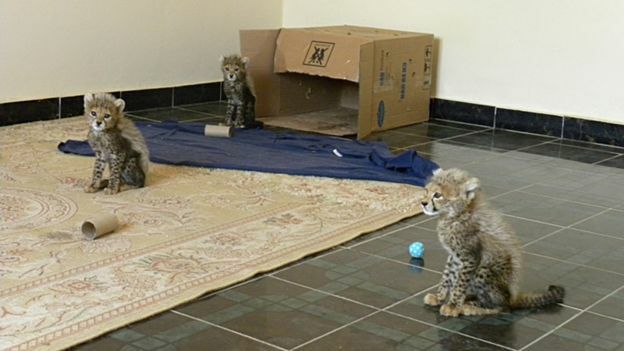 Others allow dealers to offer cheetah cubs for sale. Another initiative is to draw up plans for how to handle cheetahs if they are confiscated – if the authorities do get tough, large numbers may suddenly need to be housed. Already when cheetahs become too big, or their owners find that they cannot care for them, the animals are released into the streets and found dead or weakened. But there is a sense that time is not on the side of a species whose very fame may be the cause of its demise. As Dr Marker puts it, “the cheetah is running the most important race of its life, and that’s for its very survival and its survival is in human hands”. Grazie a tutti! Ce l’abbiamo fatta! Cari Amici, cari Soci, cari donatori e sponsor! Ce l’abbiamo fatta. il traguardo dei 225.000 dollari è stato raggiunto grazie al vostro aiuto. Siamo felici perchè, come si usa negli Stati Uniti, alcune persone benestanti appassionate al progetto del Cheetah Conservation Fund si sono impegnate a raddoppiare l’importo se fosse stato raggiunto : e l’abbiamo – l’avete! – raggiunto! Ecco la nostra ultima Socia iscritta! 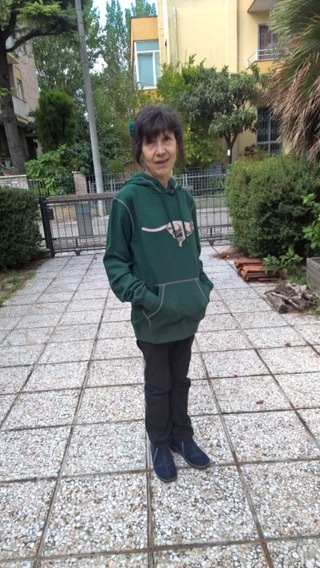 Per : “Un Socio al giorno” eccovi la nostra ultima iscritta MANUELA VILLA di Riccione che ha acquistato la nostra felpa CCF oltre al ghepardo di peluche. Benvenuta Manuela!